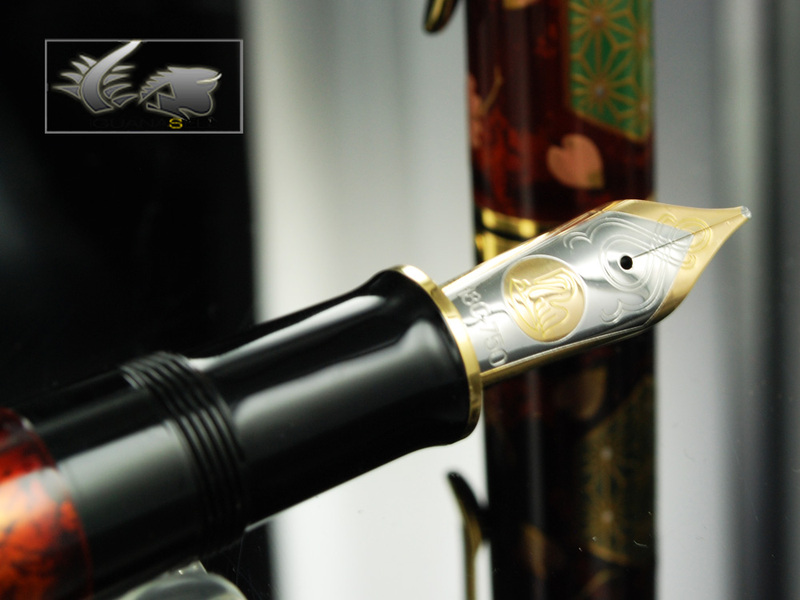 Lets take a look at this Fountain Pen and its magnificent japanese style. 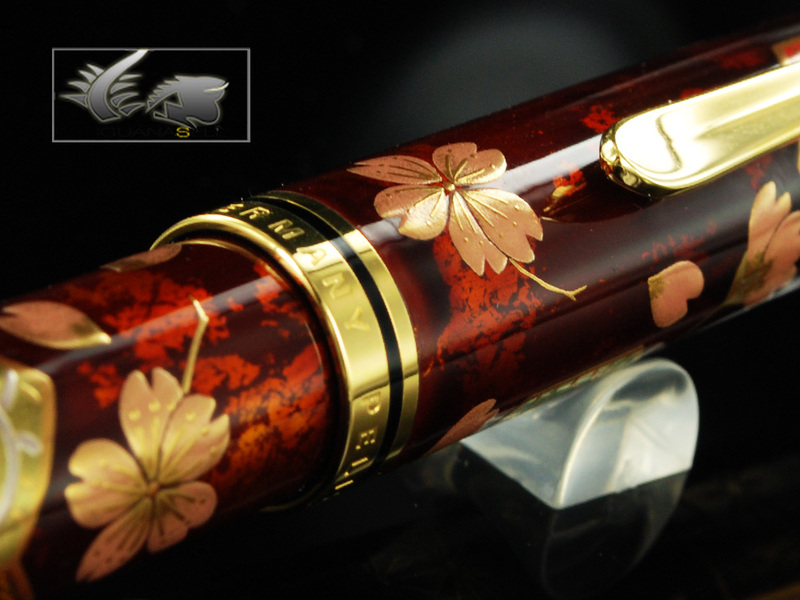 Although it is an old Limited Edition we are lucky to count with a unit in stock. 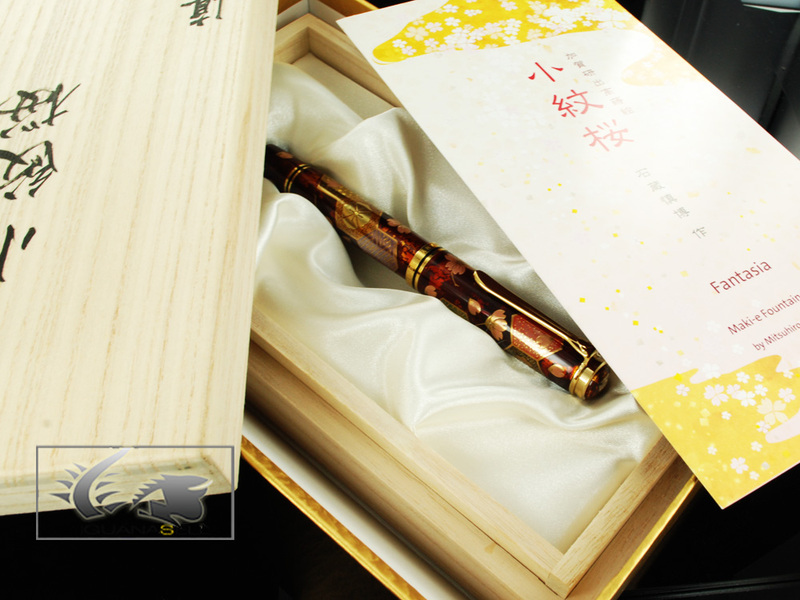 Hurry up and do not miss it, you can receive it in 2-3 days or come to our store to get it. 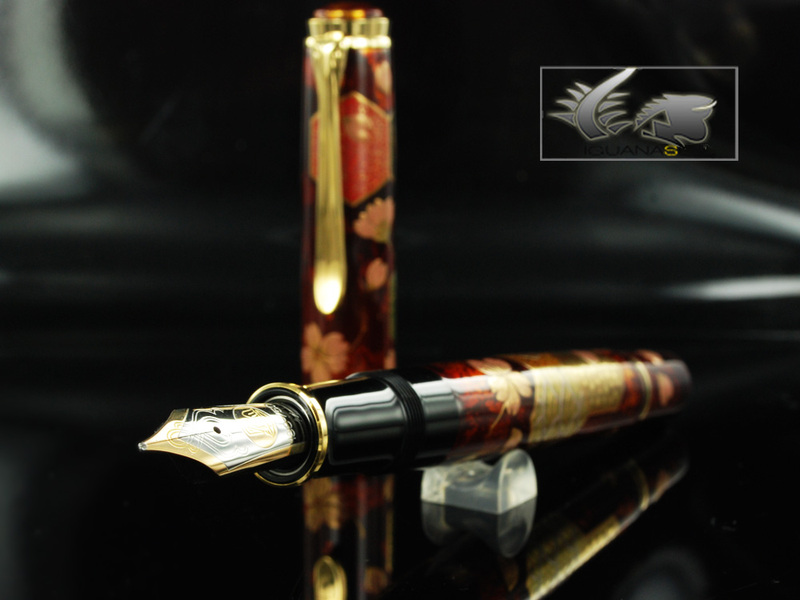 Pelikan launches a Maki-e fountain pen that is both unusual and stunningly beautiful. 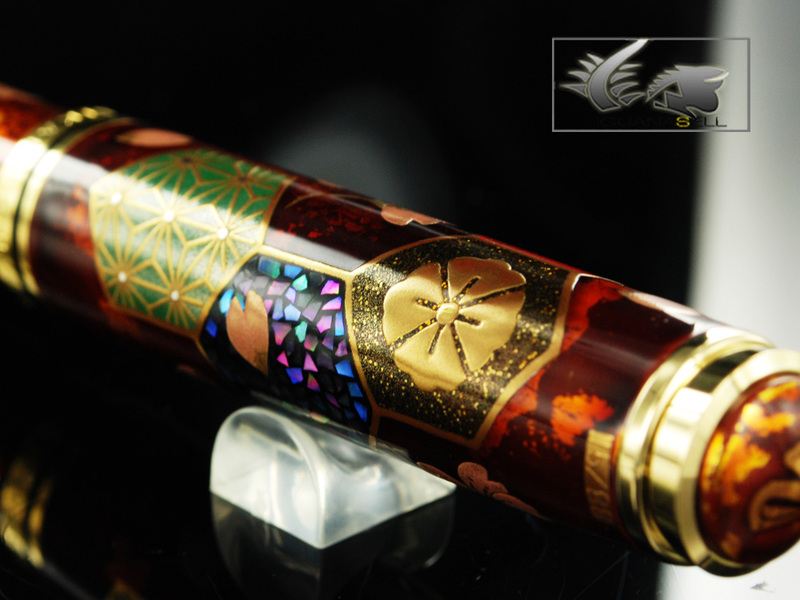 Instead of the more typical landscapes, the Fantasia depicts a traditional Japanese design called “Komon Pattern”, which is commonly used for elegant Japanese Kimonos. Eight hexagons with eight different styles create subtle color combinations that delight the eye due to a wealth of details, all painted with painstaking love. 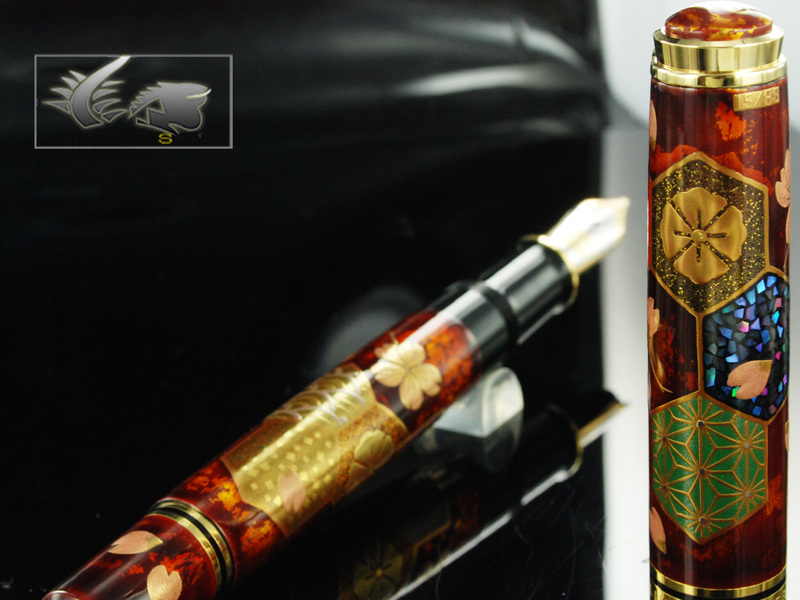 The hexagons are surrounded by cherry blossoms in a reddish golden color which are based on a varying background that is painted with the “Byakudan-Nuri” technique, using gold leaf and clear lacquer. 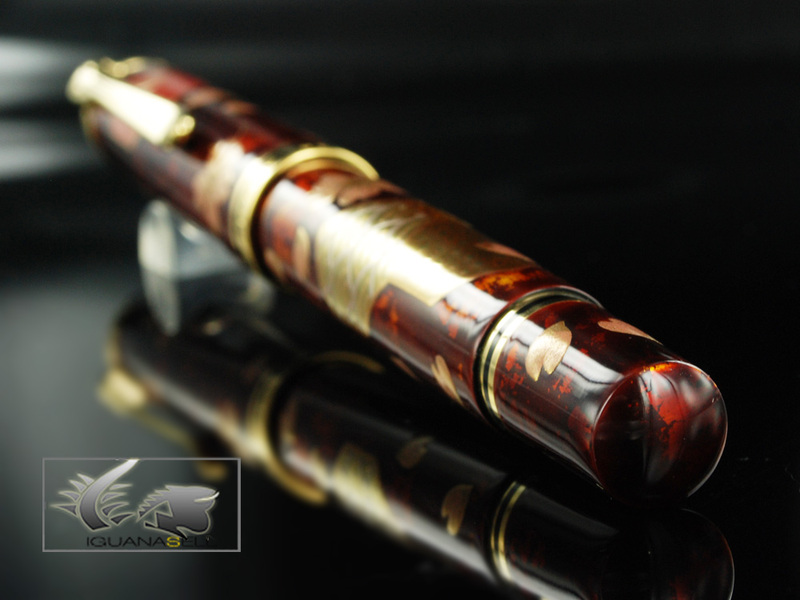 Due to this technique, the lacquer shimmers with surprising depth in a red and orange glow when you turn the fountain pen in your hands. 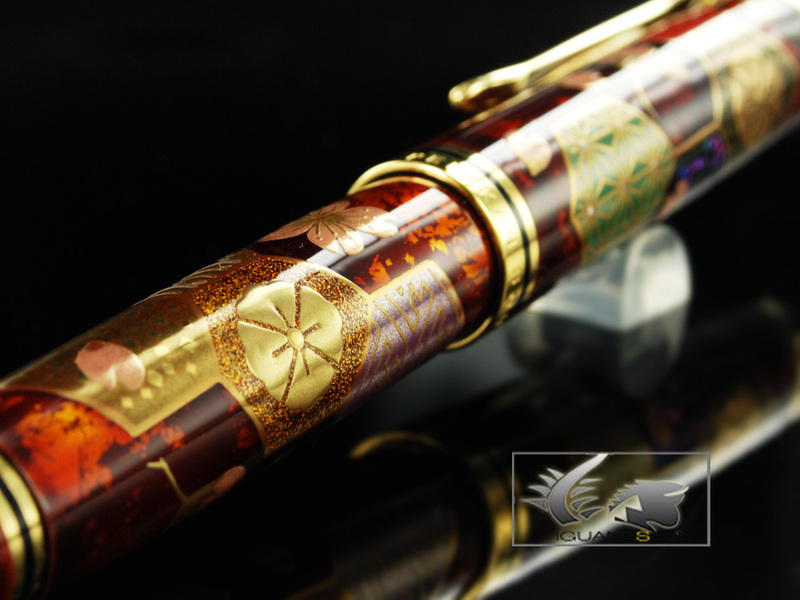 For the Pelikan Maki-e fountain pen Fantasia, the elaborate Kaga Togidashi-Taka-Maki-e technique was used. 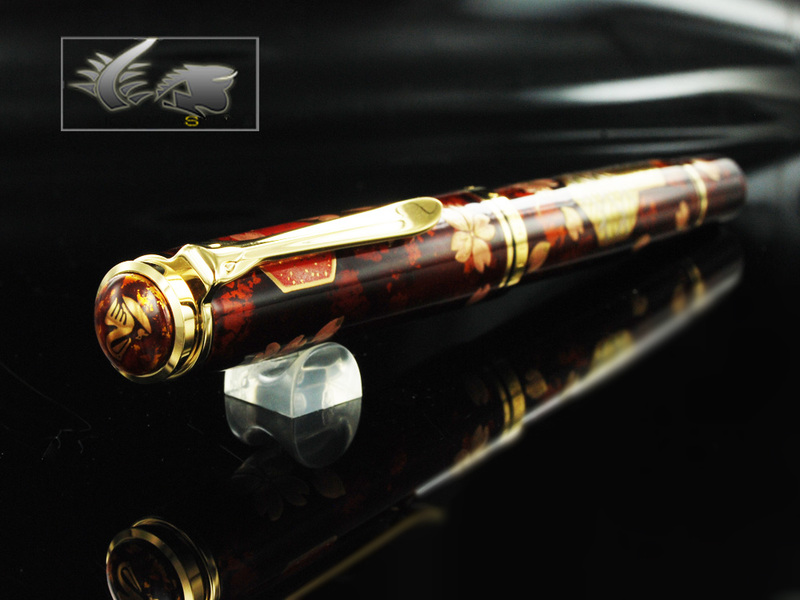 It is a masterpiece that combines German craftsmanship, based on over 175 years of tradition & technology, with superior Japanese Maki-e painting techniques which are renowned all over the world. 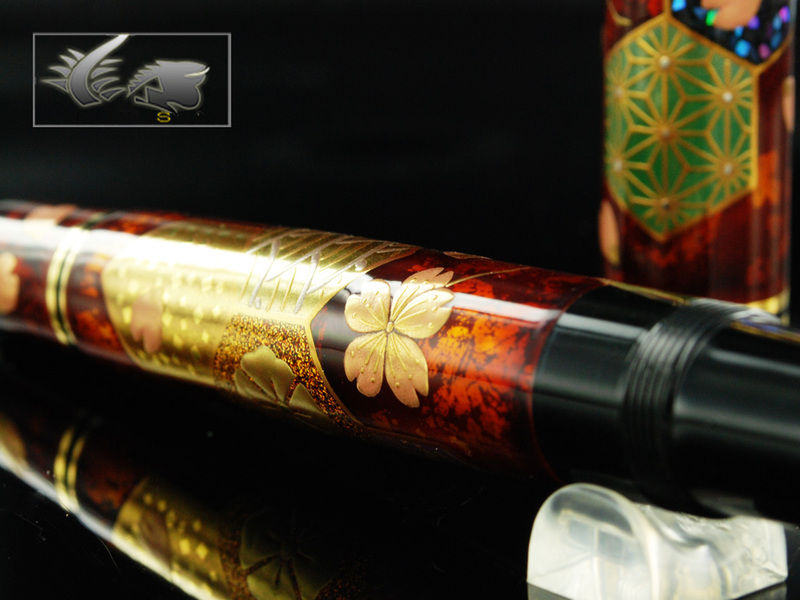 Thank you once again for reading my posts!